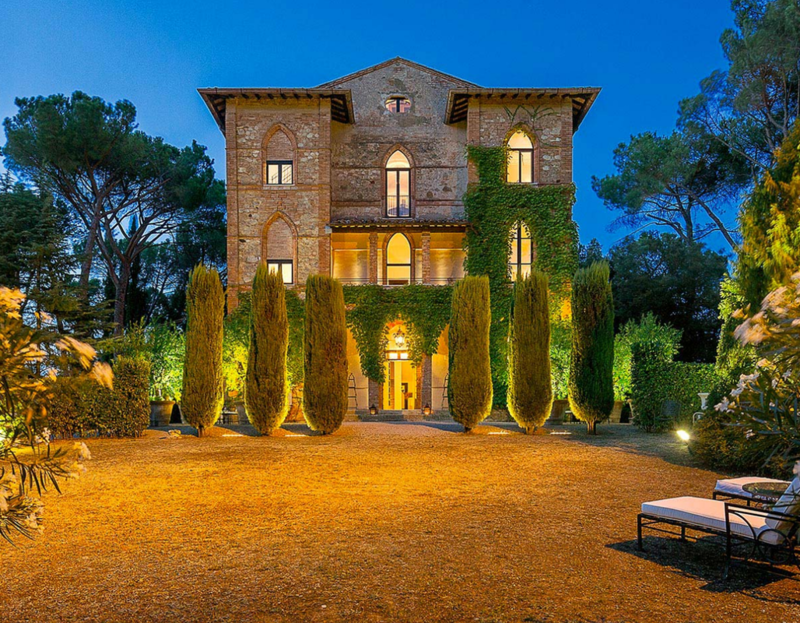 ​Enjoy a luxury retreat at a neo-gothic private villa in Central Italy’s Tuscany-Umbria region dating back to the latter part of the 18th century. Appreciate beautiful vistas and explore nearby cities such as Florence, Arezzo or Siena. A villa stay is truly the best and most intimate way you can experience the tremendous beauty and culture of Italy from a “home” base with family and friends. This gorgeous villa is comprised of four double occupancy bedrooms allowing for a maximum of eight guests at a time. Nearly sixty acres of land surround the villa creating your own private park with the characteristic flora of prestigious Tuscan gardens – centennial cedars, elms, Mediterranean pines, cypress, lemon and pomegranate trees, all overlooking the extensive olive orchard from which an exquisite and exceptional olive oil is produced locally. Minimum Stay Requirement: 3 nights in mid and low season and 1 week in high season.